Darren M. Shapiro is an experienced Long Island Family Law and Nassau County Divorce attorney, which makes this office a perfect fit for its Freeport clients. Darren has dealt with a magnitude of matrimonial and family law cases. He handles his client’s cases with the utmost discretion and offers them a safe environment to discuss their issues. 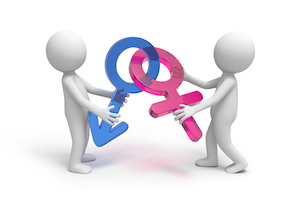 Our office also offers mediation for couples looking to obtain an uncontested divorce. Uncontested divorces may be filed after both parties agree upon a settlement. In addition to being a New York attorney, Darren M. Shapiro is a certified mediator and certified collaborative law attorney. Mr. Shapiro began practicing law over fifteen years ago. He provides his clientele with professional representation, is sensitive to their needs, while providing them with honest advice to ensure their best interest. Darren understands the difficulties of dealing with family law and divorce matters and is here to help you. Our office is located in Nassau County, New York in Jericho. It is a short distance away from Freeport and approximately three miles away from the Nassau County Supreme and Family Courts. Freeport is an interactive community known for its famous Nautical Mile which houses many Bars, Restaurants and Lounges. Freeport is also known for its many festivals, events, the historical society and museum. Freeport is considered a melting pot for its extremely diverse culture. While Freeport is community oriented, one of the downsides to the Freeport Nautical Mile area is the flooding that occurs during storms. Many Freeport businesses and residents near the water found themselves with financial issues resulting from clean ups. Situations such as this can lead to financial constraints and stresses in a household. Unfortunately, stressors such as these have often caused internal conflicts within a family which sometimes, it seems, correlate with family law issues. When searching for statistics within the Freeport community, city-data.com (as of October 2014) revealed that approximately forty five percent of the residents in Freeport are married, eleven percent are divorced, thirty seven percent were never married, while five percent are widowed. Our office can help create your pre-nuptial and post-nuptial agreements. For engaged couples, we offer pre-nuptial agreements which can provide a sense of security going into the marriage. Pre-nuptial agreements are created to help ensure knowledge of what might happen should you ever decide to part ways with your significant other and get a divorce. Couples who are married and did not get a pre-nuptial agreement prior to getting married can obtain a post-nuptial agreement. Pre-nuptial and post-nuptial agreements can cover the same subjects, however, pre-nuptial agreements are prepared and signed prior to the marriage taking place while post-nuptials are for couples who have already tied the knot so to speak. Both agreements are prepared in order to help couples preserve and also improve their marriage. These agreements help to protect your assets and provide you with a peace of mind. Darren M. Shapiro can help Freeport, along with other Nassau County residents generate an agreement in a secure atmosphere that is suitable for both parties involved. Darren M. Shapiro practices law throughout Long Island and the New York City area. Our heaviest volume of cases is in Nassau County. Freeport residents would most likely have their cases heard either in the Nassau County Supreme Court or Nassau County Family Court. Over his many years of experience, Darren has become acquainted with the practices and courtrooms within the most of Nassau County Courts. Freeport residents are invited to call or visit us in our Nassau County office a free 30 minute initial consultation. If you are in search of a divorce attorney, call our office to set up an appointment to discuss your marital matters and how to move forward in pursuing a divorce. We can discuss all the particularities of your case and what it may entail. Together we can select the best route. One of the options that may work to pursue a divorce is by mediation. Darren M. Shapiro is a certified mediator and has helped many couples obtain a divorce in an amicable, professional and respectful manner. If you and your spouse are unhappy and seek individual representation, Darren protects his client’s interest and makes sure to discuss any and all matters pertaining to your divorce. Issues such as spousal support, maintenance issues, equitable distribution of marital assets and many other matters are discussed throughout your case. With Darren’s experience, he works hard to fight for what is in our client’s best interest. The divorce process can be traumatic and you need an attorney who will be sensitive to your needs. We will listen to you. Darren can try to avoid litigation and make every attempt to settle your case out of court. In some cases, though, litigation is necessary. Darren is the right attorney to have on your side as he aggressively litigates to try to ensure that our clients get the best possible result for their circumstances. The divorce proceedings for those married with children can become a little more complex as there are additional matters that need to be addressed such as child support, custody and visitation. Darren has many years of experience handling these matters as well as: family offense proceedings which are about orders of protection; abuse issues; neglect issues; or child protective matters; modifications and enforcement actions amongst other matters. No matter what process you choose, Darren is able to help you with your case. There are many single parent households in Freeport. Whether you are a Freeport’s single parent or residing elsewhere, we can help those who need counsel to assist them in obtaining child support, child custody and visitation (parenting or modifications of child support orders. Darren has the ability to help guide you throughout your process. He will discuss the choices of venues, courts and different routes available. He is a litigator, trained and certified collaborative divorce attorney and trained and certified mediator. Our rates are reasonable and competitive. Freeport and other residents are encouraged to visit our blog, for more information pertaining to family law topics. We look forward to hearing from you. If you have any questions or want to set up your free phone or in office consultation, please contact us.